MSAA is very proud to present the final piece in our 2018-19 Art Showcase – celebrating the work of artists affected by multiple sclerosis (MS), like Patricia (below) who is a Wisconsin artist with multiple sclerosis. We received many wonderful submissions from across the country and are delighted to share their work and their stories with you. Please visit our online gallery to view all of the submissions…and get ready next month for a new MS Art Showcase for 2019! “Diagnosed twelve years ago, my life dramatically changed. MSAA is very proud to present our 2018-19 Art Showcase – celebrating the work of artists affected by multiple sclerosis (MS), like Susan (below) who is a Texas artist with multiple sclerosis. We received many wonderful submissions from across the country and are delighted to share their work and their stories with you. Please visit our online gallery to view all of the new submissions. “I was diagnosed with RRMS in 2001. I’m not perfect. I have rough days. I cry. I get angry. But then, I pick up a paint brush and I start to create whatever I am feeling. I get lost in a beautiful world of lines and shades and colors. The creation of something visually beautiful helps me to refocus on the fact that I am so much more than my MS.
MSAA is very proud to present our 2018-19 Art Showcase – celebrating the work of artists affected by multiple sclerosis (MS), like Terry (below) who is an Illinois artist with multiple sclerosis. MSAA is very proud to present our 2018-19 Art Showcase – celebrating the work of artists affected by multiple sclerosis (MS), like Judy (below) who is a Seattle artist with multiple sclerosis. 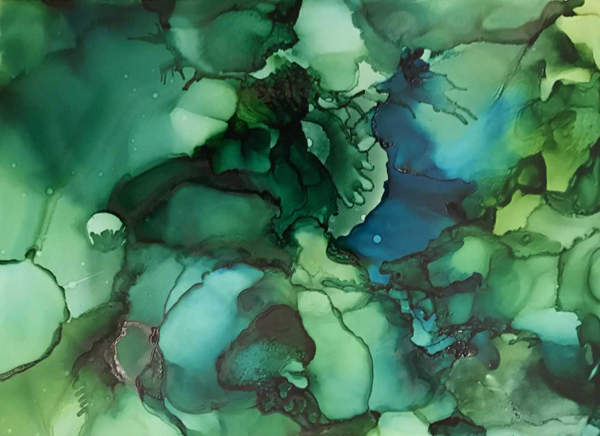 MSAA is very proud to present our 2018-19 Art Showcase – celebrating the work of an artist affected by multiple sclerosis (MS). MSAA is very proud to present our 2018-19 Art Showcase – celebrating the work of artists affected by multiple sclerosis (MS). Each month on our blog, we will highlight an artist of the month.